Oracle Revolt ? 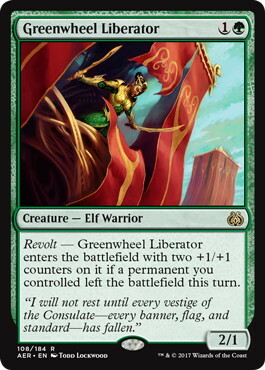 Greenwheel Liberator enters the battlefield with two +1/+1 counters on it if a permanent you controlled left the battlefield this turn. Flavor Text I will not rest until every vestige of the Consulate?every banner, flag, and standard?has fallen.